It’s a hot seller’s market and you finally found the right home for you. When walking through it you noticed some issues that you might want to ask the seller to fix, or know you need some help with closing costs or want a home warranty. 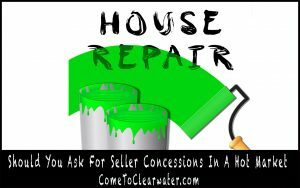 Should you ask the seller for those concessions? Probably not. 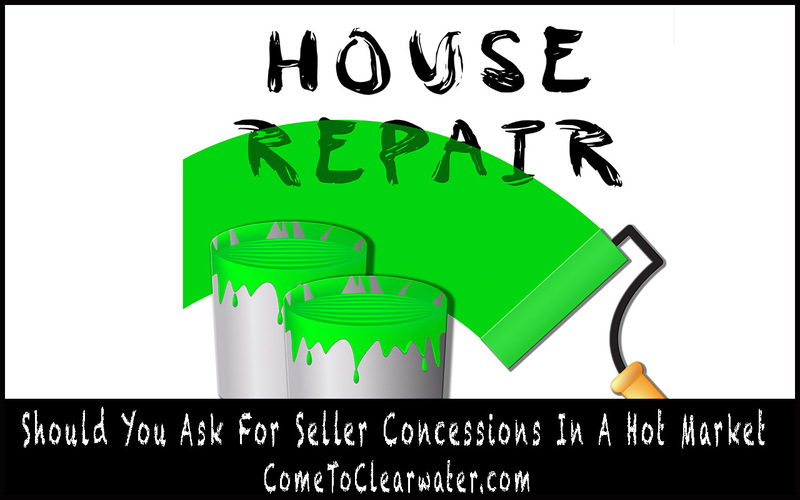 Concessions dig into the profit the seller will be making on the sale of the house. In a hot seller’s market there are others who will be willing to make an offer without any requests for concessions. Those clean offers will definitely compare better to yours, even if you are offering more money. Replacing carpet, fixing a roof or fixing other items in the home can be expensive. Paying a portion of the closing costs is as well. So even if your offer is a few thousand dollars more than a clean one, the savings to the seller in taking a lower clean offer can mean more money in their pockets. See if you can live with the needed fixes. Carpet is a mess? Have it cleaned before you move in. Even renting a carpet cleaner is only $30-$40 for a day. If the flooring is worn, see if it could be covered with a throw rug or furniture until you can afford to get it fixed. See what the inspection report says about the roof or other fixes. No home is perfect. If it isn’t feasible, or the fixes are necessary and more than you can afford, it might be time to look for a different, lower priced home. Home buying is always a negotiation, but knowing the market can mean starting off with the best offer you can give. Be smart and purchase the home that is best for you!